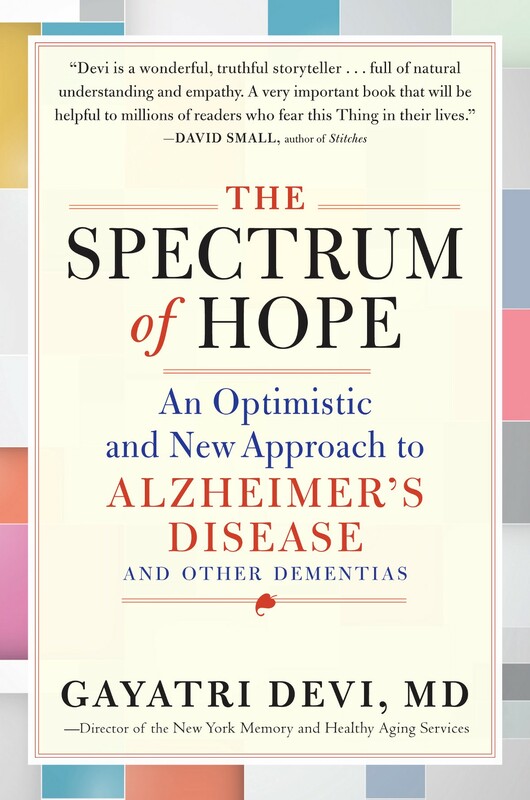 A neurologist who’s been specializing in dementia and memory loss for more than 20 years, Dr. Gayatri Devi rewrites the story of Alzheimer’s by defining it as a spectrum disorder — like autism, Alzheimer’s is a disease that affects different people differently. She encourages people who are worried about memory impairment to seek a diagnosis, because early treatment will enable doctors and caregivers to manage the disease more effectively through drugs and other therapies. “If I find out I have Alzheimer’s, I will commit suicide,” exclaimed a woman I met at a cocktail party when she discovered what I did for a living. “I don’t want to be a burden to my family.” She was in her seventies and explained she had recently noticed that her memory was slipping and that she was having trouble finding words. Unfortunately, this rather common view prevents people with memory loss from seeking help. Memory loss can arise from a number of conditions, including normal aging, hormone imbalance, side effects from medication, strokes, as well as from dementias such as Alzheimer’s. However, because of the fear of discovering that their memory loss might arise from Alzheimer’s, many people avoid or postpone getting evaluated. Such delays prevent treatment of easily addressed conditions and allow illnesses like Alzheimer’s to affect more areas of the brain, at which point it becomes harder to stabilize. Most don’t realize that, as with any other chronic illness, the earlier a diagnosis of Alzheimer’s is made and treatment started, the better the long-term prognosis. In fact, studies of patients seen in internists’ offices found that between 90 to 97 percent of those with mild dementia and 50 percent of those with moderate dementia remain undiagnosed by their physicians. A number of factors may be responsible for this low level of diagnosis. Some patients may not think enough of the memory loss to complain about it or may attribute it to factors such as stress or medication. Others may fear telling their physician about memory complaints and getting a dreaded diagnosis of dementia. Yet others may fear loss of job, familial upheaval, or even, as I have discovered, loss of the respect of their long-time physician. I have had patients who have refused to let their internists know about their dementia diagnosis for years, concealing even their memory medications, because “I don’t want to be treated differently.” Finally, this tremendous level of under-diagnosis may be due to some physicians not being as responsive to memory complaints or signs in their patients as they might be to more straight-forward problems such as chest pain or even constipation. Aside from doing themselves a disservice by not getting treated for curable causes of memory loss, like my cocktail party acquaintance most people believe that even if they did have Alzheimer’s, there are no effective treatments for the condition. Additionally, most folks do not realize that Alzheimer’s is a spectrum disorder, not a single disease. Alzheimer’s disease presents and progresses differently in different people, meaning that a diagnosis of Alzheimer’s is not necessarily the disaster that many of us imagine it to be. At some point, hopefully in the near future, scientists will be able to parse out different subtypes of the condition that make up the Alzheimer’s spectrum, which will help allay the fear of this diagnosis. Already, there are subtypes of Alzheimer’s defined by biological markers, genetics, and clinical symptoms. These subtypes progress differently, behaving almost like different illnesses despite the common pathology. Patients with Alzheimer’s beginning at a young age, say in their forties and fifties, have a specific set of associated genetic mutations, develop a different pattern of symptoms, and progress rapidly to death. On the other end of the Alzheimer’s spectrum are older men and women with brains that are pathologically identical to Alzheimer’s brains but without any symptoms of the condition. Can we then say that this is all the same disease? It seems more plausible that Alzheimer’s is a constellation of different types of disease that contribute to a final common pathology with markedly different presentations, treatment responses, and outcomes. Contrary to popular belief, most people with Alzheimer’s disease are not going to forget who they are, or the names of those they love. Most men and women with Alzheimer’s disease will live at home and die at home. Because the brain is a complex organ, even patients with the same subtype of Alzheimer’s can present with different symptoms. Depending on the area of the brain that is first affected by the dementia pathology, some patients may notice difficulty with arithmetic, while others may have trouble reading; some people may have trouble finding words, while others may have difficulty driving. The early symptoms of dementia are as varied as the brain’s many functions. As one of my friends who worked in the field put it, “Twenty million people with Alzheimer’s have twenty million types of Alzheimer’s,” alluding to the individual variability of the disease. Unlike organs like the heart, which pumps blood, or the bladder, which holds urine, the brain is responsible for a multitude of functions, not only overseeing the work of the bladder and the heart, but also how to kiss, dance, and drive a car. Bladder disease affects one function while brain disease can affect hundreds of different abilities. Because of the brain’s versatility as an organ, I find it hard to answer questions about the severity or stage of Alzheimer’s disease, particularly early in the disease course. “What stage am I in?” a patient might ask. “I can’t give you an overall stage,” I might answer. “Your memory is poor, but your language skills are excellent, as are your life skills.” In contrast, diseases of organs like the lung or the liver are easier to stage, because of the organs’ singular functions. Joe, a patrician-looking, city-born-and-bred 73 year-old came to see me with his stylish wife and their grown-up daughter. He was a money manager in charge of over a billion dollars in assets. Recently Joe’s memory had been fading, and trades and transactions — which used to come as naturally to him as breathing — had started causing him trouble. No one had commented about his difficulties on the job, but because he owned his firm, he was concerned that people were hesitant about correcting the boss. The couple’s daughter was very concerned as well. She noticed that her father, a man who had effortlessly led a large, successful, and highly-regarded financial firm for forty years, had become increasingly forgetful. The three of them were at my office because Joe’s astute internist had expressed concern that Joe might be developing Alzheimer’s disease or another type of dementia. It turned out that the internist was right–Joe did have Alzheimer’s. I discovered this after I performed a thorough evaluation and a laboratory work up, including an MRI. Fortunately, Joe had several things going for him that were associated with a better prognosis. He was still working, meaning that he was keeping his brain active. He appeared to be handling the demands of his job, which meant that the pathology was not yet significantly affecting his functioning. He had a supportive family and social network that kept him from social isolation. All these factors meant he had a good cognitive reserve, which kept his brain resilient. He also had good brain reserve because he was physically in good shape. He exercised twice a week, which kept his heart healthy and increased blood flow through his brain, making for a more robust brain. In the next chapter we will learn more about how these two types of reserve — cognitive and brain — help stave off the effects of Alzheimer brain pathology. Finally, Joe was motivated to seek any and all available treatments, both those already approved and those that were still off-label but seemed promising. So we started Joe on a combination of medication and a brain stimulation regimen designed to bolster his cognitive and brain reserves and keep his brain resilient even as the pathological deposits in his brain increased. That was seven years ago. Joe is 80 now. How is he doing? Well, recently, I got a call from a new cardiologist who Joe had seen at his internist’s behest, for a problem unrelated to his memory. The cardiologist was outraged. What Joe’s cardiologist did not realize was that Joe had already undergone numerous tests that all pointed to the same diagnosis. He had even had spinal fluid analysis, which was positive for the abnormal brain deposits that are seen in Alzheimer’s disease. Joe had been serially tested for the last seven years and had shown remarkable stability in most areas, such as visuospatial skills, and even improvement in others, such as language, although his memory remained poor. Some may consider it heresy to speak of improvement in Alzheimer’s, but Joe unequivocally showed positive response to his treatment. Despite the pervasive belief that Alzheimer’s is a one-way street to inexorable decline, Joe’s situation will be familiar to any physician who has spent several years dealing with patients who have the condition. Some patients do, in fact, improve with treatment, and many patients do stay stable. When one recognizes Alzheimer’s as a spectrum disorder rather than as a single disease entity, this becomes more understandable. Joe continued to work and find utility in his life. He eventually relinquished managing his firm, but he stayed on in a part-time capacity. By the time he turned 80 he was spending more time in Florida, but it felt natural at this stage in his life to be cutting down on work. The important thing is that he was living a highly functional life despite having Alzheimer’s disease. Joe is proof that this is possible, and he is alive and well as this book goes to print. What stage of dementia is Joe in? As I mentioned earlier, I personally dislike staging as I find it to be of limited utility in terms of prognosis or thinking about the disease in an individual person. Instead, here’s how I would describe where Joe falls on the Alzheimer’s spectrum: He has slowly progressive Alzheimer’s with excellent language skills, moderate memory loss, and good life skills (which comprise tasks important for independent living, like driving and shopping). Joe had a good overall prognosis because of his high levels of cognitive and brain reserve and positive response to treatment. Not many people are aware of outcomes as positive as Joe’s. For the most part, the Alzheimer stories that crowd the general consciousness are hopeless worst-case scenarios. Another of my patients, 69-year-old Megan, voiced the common negative misconception. “What will happen to me?” she asked. “Do I need to put my affairs in order? I don’t want to live if I lose my mind. I think I will fly off to one of those countries where I can kill myself legally, before I allow that to happen.” It was a few weeks after I had first seen her for her memory complaints. She had undergone an extensive evaluation and I had given her a diagnosis of slowly progressive Alzheimer’s disease with mild memory loss, excellent language and life skills, with a likely good prognosis, given her high levels of brain and cognitive reserve. Megan lived alone and had no children or family, other than distant cousins who lived on the opposite coast. She prided herself on her smarts and relied on them. Although she only had an eighth-grade education, she had worked her way up to become the chief administrator for an extremely prestigious private firm. In her position, there was little room for error. If Megan made mistakes, it was observable not only to her boss, but to the entire staff who worked under her. By the very nature of her job, Megan’s performance was being constantly and inadvertently assessed by many people. Megan first noticed her brain wasn’t as sharp as it had been when she began having some mild difficulty remembering things and forgetting appointments. As someone who had had prodigious organizational abilities, this development was alarming to her. The change had been apparent to no one but herself, but she came in for an evaluation to find out what was happening, as a matter of precaution. This pragmatism exemplified Megan’s matter-of-fact approach to life, so different from many others, who, when experiencing cognitive changes, might be tempted to “bury their head in the sand.” Once I realized Megan had abnormalities on her neuro-cognitive evaluation, we performed a scan that indeed confirmed the presence of the plaques associated with Alzheimer’s disease. Megan’s vigilant, no-nonsense approach paid off, and she was diagnosed very early in the disease course, which is important for effective treatment. Megan expressed her thoughts about assisted suicide just as she was about to start her new treatment regimen. “How am I going to do?” Megan said. “I don’t know exactly how you are going to do at this point,” I replied. “You may be someone who stabilizes with treatment. You might be able to keep working into your late-seventies. Perhaps even into your eighties. But you might also be someone who doesn’t respond to treatment. I won’t know for sure until we reevaluate you after at least six months, but I think you will do well because of your excellent health, because you have an active and engaged brain to start with, and because we are beginning treatment early. Because you were proactive and brave enough to seek an evaluation as early as you did, we have a higher chance of success. We are getting you started on treatment right away and my sense is that you will do well.” By treatment, I did not just mean medication, but a whole set of behavioral and other interventions tailored to Megan’s symptoms. Like many of my patients, Megan listened to me talk about positive outcomes with disbelief etched on her face. While my patients want to believe that treatment may help them, everything they’ve read and heard makes Alzheimer’s seem like an inexorably progressive condition that decimates a person’s mind and brain. The disease is presented as if it leaves each and every patient a physical shell of their former self, unable to recognize their loved ones, unable to appreciate life’s simple pleasures, unable to remember anything, unable to do much of anything other than occupy space. In fact, a diagnosis of Alzheimer’s disease does not often end that way, but few people are aware of this. This is because, as we read earlier, the overwhelming majority of patients with mild Alzheimer’s and half of those with moderate disease go undiagnosed. Even when patients have been diagnosed with Alzheimer’s, if they remain functional, the diagnosis is met with suspicion, as in Joe’s case with his cardiologist. It’s a damned if you do, damned if you don’t, catch-22 situation. Only clearly impaired patients meet the public (and sometimes the physician’s) idea of what Alzheimer’s looks like. This is similar to saying that someone with cancer does not have cancer unless they are visibly ill, which we know to be untrue. An example that I like to give to demonstrate the futility of this type of thinking is diabetes, another multifactorial disease with multiple genetic causes affecting increasingly large portions of our population. There are people with diabetes who are unresponsive to multiple aggressive treatments, and there are people with diabetes whose symptoms can be controlled by dietary changes. But while there are patients who can and do die from diabetes, no one assumes that every single person with that illness is going to end up a blind double amputee with strokes. Time and experience has allowed our understanding of diabetes to become both more accurate and more nuanced. Take autism as another example. Not that long ago, few people thought of autism as a spectrum disorder. The public and physicians associated autistic patients with those at the severe end of the spectrum, and did not appreciate the wide variations in the condition. Now, of course, we are aware that while there are those with significant impairment, more and more patients with functional autism (often called Asperger’s syndrome) have been identified. We have grasped the heterogeneity of autism spectrum disorders. These changes in perception have been driven more by parents of children with autism educating the public than by the medical establishment. No such committed and fierce advocacy group exists for Alzheimer’s, which most commonly affects the aged population. It is my hope that through education, the public perception of Alzheimer’s can be changed as we work to remove the stigma associated with it, understand that it is a spectrum illness, and recognize that there are competent, high-functioning individuals with the condition. Excerpted from The Spectrum of Hope by Gayatri Devi, MD printed from the FREE Buzz Books 2017 with permission of Workman. For more information and to download all of the excerpts, go to Buzz Books. 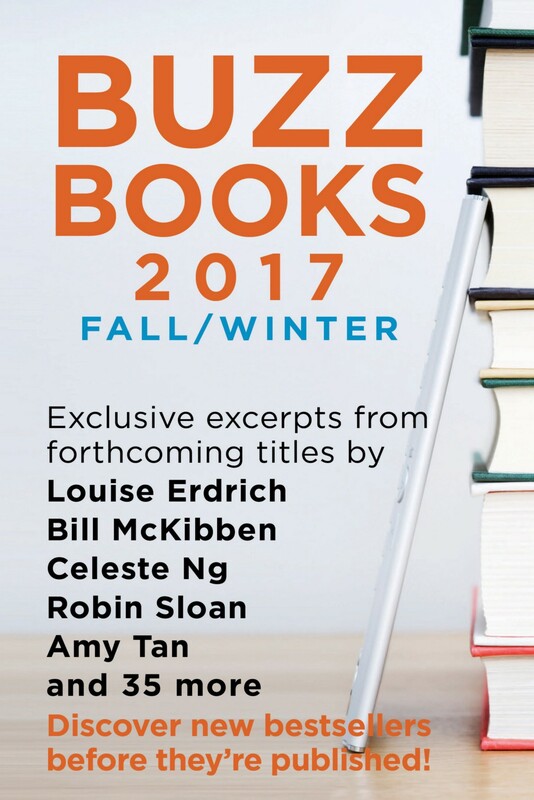 Exclusive free excerpts from top titles by marquee authors and fresh new talent - Discover next season's bestsellers before they're published: buzz.publishersmarketplace.com.